How to stop supporting your practice and start letting it support you! Ten easy steps. Tired of working harder than you want to? Having trouble generating an abundance of revenue from your clinic? Perhaps you simply want to learn how to maximize what you get from your current patients? If so, don't miss this webinar. Review ten, simple, but crucial methods that can improve efficiency and productivity in your practice. 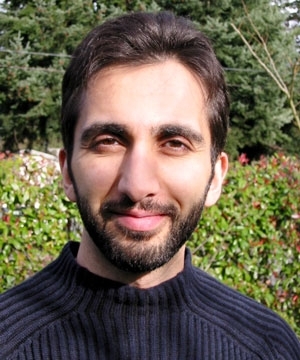 Dr. Kasra Pournadeali (pour-na-deli) is Director of the Northwest Center for Optimal Health, one of a few CNME-accredited off campus residency training facilities in Washington State. He has been a healthcare provider since 1992, and is a graduate of Oklahoma and Bastyr University. Dr. Pournadeali speaks & writes locally and nationally, has made over one thousand radio and television appearances, and published hundreds of articles in the lay press-- educating others on the benefits of naturopathic and nutritional medicine. He is Past President of the Washington Association of Naturopathic Physicians, a current boardmember of the American Association of Naturopathic Physicians; and, he led the administration that modernized the naturopathic scope of practice in Washington State in 2004 and again in 2005. Dr. Pournadeali serves on the Foundation for Care Management, an ACCME & ACPE-Accredited CME granting organization, and he has served as faculty at Bastyr University since 1999. He enjoys the politics of medicine, teaching, private practice, car hunting, tinkering in his garage, and spending time with his wife, daughter, parents, and cats.